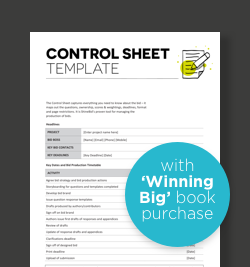 Download our tools and templates to shortcut your way to a win. 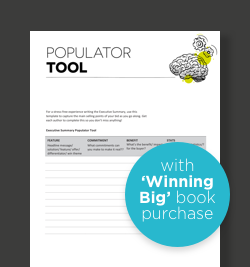 Please note some tools are only available with the purchase of our 'Winning Big' guide. 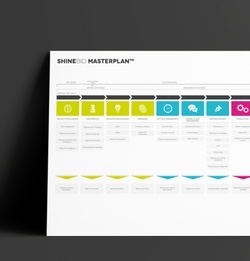 Access our Bid Winning Masterplan to uncover the vital stages of managing the bid winning process. 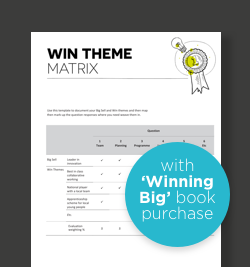 Weave your selling points and key messages throughout your bid using the win theme matrix. Get our proven tool for managing the production of compliant high-scoring bids. 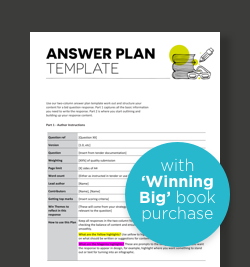 Use this simple two-column answer plan template to powerfully structure your content into compelling responses. For a zero-stress experience writing your Executive Summary, this tool makes it easy to capture the main selling points of your bid as you go along. 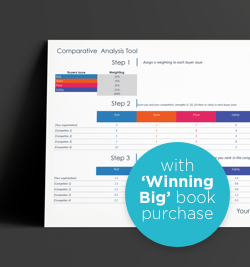 Square up your competitors and find out where you rank in the competition.